Sweet, luxurious and mouth-wateringly delicious, Dulce de Leche is a decadent, creamy caramel like spread, suitable for drizzling, spreading and primarily used as a base ingredient for all types of culinary confections, cakes and desserts. There is an astounding 1.3 litres of creamy milk in every kg of luscious, velvety Dulce de Leche, making it truly live up to its Latin American household name,‘sweetness of milk’. With its amazing versatility and wealth of uses, Dulce de Leche is fast becoming a staple in kitchens and all over the world. A traditional product of Argentina, Dulce de Leche, is lovingly made at our purpose built facility at Clara Fields, in the heartlands of Ireland. Our skilled team put a lot of care into the production process. We slowly heat whole milk and sugar to create a smooth spreadable, delicious substance. This is similar in appearance and taste to caramel, but has its own distinctive and unique taste. The manufacturing process of gently heating the full cream milk to transform it to this coveted Latin American sweetness, comes from the Maillard chemical reaction, which changes the colour and texture into a wonderfully adaptable ingredient for use in all kinds of baking and as a feature flavour in desserts, sweets and ice creams. 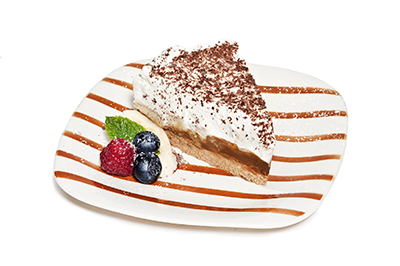 Clara Fields are proud to make this natural, delicious creamy ingredient, which enhances and elevates so many desserts from ordinary to sublime! From the ultimate banoffee pie to remarkable cheesecakes and exotic Arabic ghraybeh cookies, Dulce de Leche is a convenient but classy addition to any recipe. From ice cream to cookies and yoghurts it lends a unique taste of more-ish sweetness. 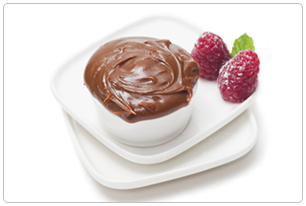 Amazingly, it is also a low- fat delicacy that boasts an amazing 7% protein in each delicious jar. Dulce de Leche is freeze-thaw stable and bake stable and can be produced in various densities, depending on the chef’s requirements. Clara Fields Salted Caramel and Dulce de Leche are an indispensable ingredient for many of our clients and a true joy for innovative chefs, as they find new recipes and culinary creations using the amazing product. 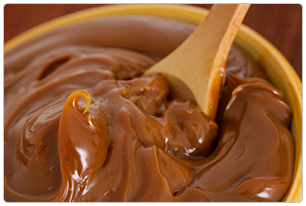 Dulce de Leche is not just another delicious creamy ingredient, full of taste and energy. Oh No! It is a vital ingredient for the modern discerning cook, sous chef, pastry chef, patisserie and bakery and it tastes pretty good simply spread on fresh bread too!